Our classic 4-loop hoof pick belt is our signature. The beauty of simplicity and elegance is the complexity and attention to detail it takes to achieve them. Our 1 1/4 " width hoof pick belts go through a detailed 15-step process ranging from cutting and sizing to burnishing and stitching. 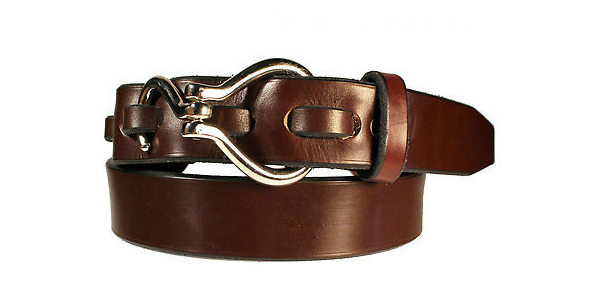 The result is an exceptional vegetable-tanned, handmade, English bridle leather belt with solid brass or nickel hardware. Our leathers not only wear well, but with minimal care, improve with age.